National Battery Day - February 18 2017 | Harding Energy, Inc.
Home / News / National Battery Day! Each year on February 18 we recognize how important batteries are in our lives. Think about it, just about everything we use in today’s world runs on a battery! In our modern age, portable power isn’t something we think about every day because it is so easily accessible. We can charge the batteries on our phones by using the batteries in our cars as we travel down the road. We even have portable chargers that can charge our batteries wherever we are. 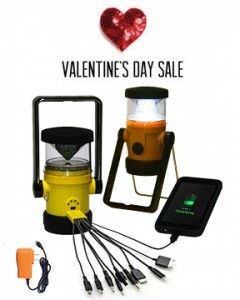 In addition, Harding Energy owns the award-winning heli™ rechargeable lantern and powerbank, which is running an amazing Valentine’s Day Sale going on now! Trivia: February 18th is the birthday of Alessandro Volta, creator of the electric battery!